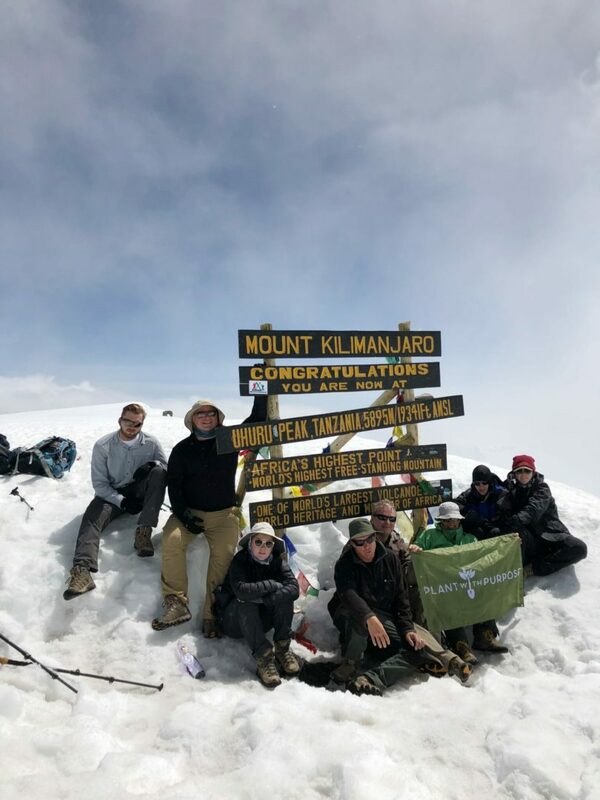 About a month ago, a group from Plant With Purpose took on the challenge of climbing to the top of Mount Kilimanjaro. The group included Executive Director Scott Sabin and Board Chair Cindy Outlaw, along with family members, friends, supporters of Plant With Purpose, and a crew of guides. After an extensive climb, they reached the top. Uhuru Peak sits 19,341 feet above sea level. Scott notes that in comparison to his earlier climb, the mountain now boasts a richer cover of snow on top. The guides confirmed that it was more abundant than at any other point in the past decade. This didn’t just bode well for the crew’s pictures up at the summit. It was really good news for the farmers who lived below. Kilimanjaro rises over Tanzanian farms. The condition of the mountain means a lot for the families living beneath it. Kilimanjaro sits in Northeastern Tanzania, a country with widespread poverty. Related to the economic struggle is the fact that the vast majority of Tanzanians earn their income through farming. Agriculture is both a means of producing crops to feed one’s family and selling crops to provide an income. When the Kilimanjaro ecosystem is unhealthy, a number of dangers arise. The snowcap on top of the mountain could excessively melt. The rush of water down the mountain’s slopes can harm family farms as it moves through soil, washes out nutrients, and leaves parcels of farmland eroded. The fragility of Kilimanjaro’s icecap increases this threat. When family farms lose their soil nutrients, they are unable to produce sufficient crops for food and income. Food security vanishes and poverty persists. This was the case for so many families around Kilimanjaro ten years ago. But there are encouraging signs of improvement. 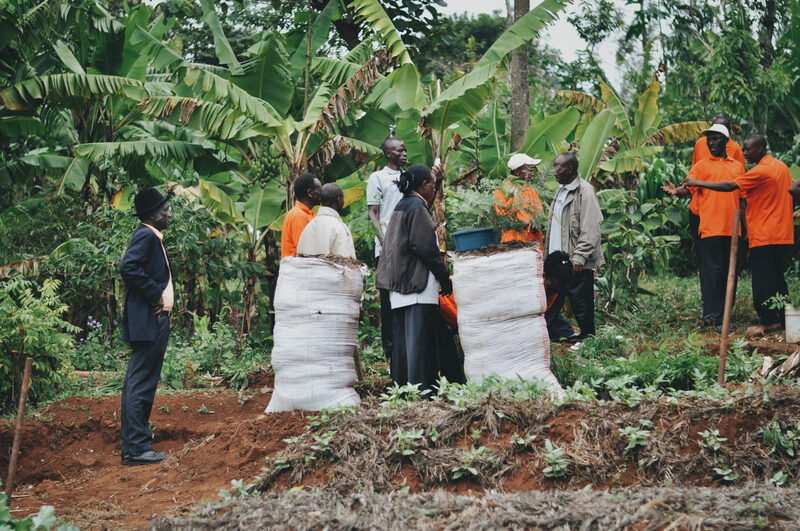 As they overcome poverty, these farmers are able to make sure Kilimanjaro’s ecosystem is healthy and productive. The process of growing out of poverty is itself a climb. The same can be said about the process of going from an unhealthy ecosystem to a restored land. It happens in steps. It requires perseverance. Good guides can make a big difference. One step towards repairing Kilimanjaro was to move beyond the survival-level of poverty. The harshness of poverty often led farmers to do things like cutting down trees to clear farmland. The loss of trees only further threatened the icecap and the soil, but it could provide quick pay. When farmers were less desperate, they became less likely to practice these behaviors. Another step involved gaining the tools and knowledge necessary to protect the icecap. At Plant With Purpose’s Farmer Field Schools, Tanzanian farmers learned techniques like grafting, compost, and working with contour lines to restore their environment. They were able to prevent erosion and reintroduce trees. As family farms flourished, with vibrant crops and trees, the mountain also began to heal. 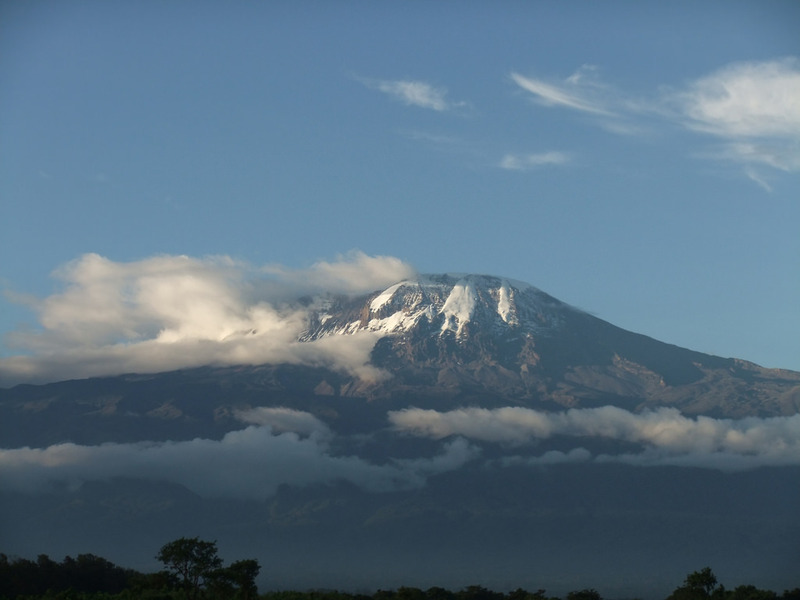 The trees helped hold down nutrients, and lowered the temperature of the area enough so Kilimanjaro lost less snow. As families are able to put their children in school, to eat more meals per day, and to enjoy a healthier ecosystem, the progress made is unmistakable. It just happened gradually, one step at a time. Plant With Purpose is honored to have worked with so many families in Tanzania on their climb out of poverty. In spite of this progress, however, there is still much more work ahead. Poverty remains high in country, however, these farmers are showing that things can improve. To support families in Tanzania, consider becoming a Purpose Partner at just $22 a month!